Digital self-harm: Why are more students cyberbullying themselves? Fueled by changing hormones, the stress of adolescence, and the emotional effects of bullying, a young teen withdraws from friends and family, hurts herself, or even takes her own life. Technology no doubt plays an outsized role in today’s bullying environment. While social media allows young adults to connect 24/7 to peers with similar interests, the emergence of always-on communication means that abuse and ridicule can also follow students home. Now, a new study suggests that technology is not only a source of such abuse, but a means by which many students might choose to hurt themselves. Six percent of students engage in some form of digital self-harm, according to a survey of students published in the Journal of Adolescent Health. Students use anonymous accounts to post derogatory comments about themselves online or on social media. While more research about this growing phenomenon is necessary, NPR reports that many child psychologists liken this digital self-sabotage to physical self-injury–think cutting or burning, for example. With nearly 20 percent of teenagers suffering from mental illness in the form of anxiety or depression, and a reported 13 percent to 18 percent physically self-abusing, this new phenomenon is raising eyebrows among researchers and education experts. Facing scant research, psychologists can only make their best guesses as to why students choose to abuse themselves online. The Journal of Adolescent Health study found correlations between digital self-harm and sexual orientation, as well experiences with bullying, drug use, and depression. It also found that male students were more prone to digital self-harm than female students. While only half of surveyed students provided reasons for self-harm, American Academy of Pediatrics (AAP) News reports that the most common reasons were depression, self-hate, to be funny, or to get attention. Want more on facing student bullying and self-harm? Sign up for the TrustED newsletter. “Similar to teens who self-harm by cutting, kids who cyberbully themselves often suffer silently, feeling like they don’t have a friend or adult to confide in,” child psychologist Sheryl Gonzalez-Ziegler tells NPR. While a recent U.S. Department of Education report tracked a ten percent national decline in instances of bullying over the last decade, another study from the Centers for Disease Control and Prevention found that the number of 10-to 14-year-old girls who physically self-harmed themselves rose dramatically–nearly 20 percent year over year–during the same time period. A 2012 study of the issue from Bridgewater State University found a higher rate of digital self-harm (9 percent) among teens than this most recent study. Whether students who self-harm are expressing a cry for help, or suffering from depression, or looking to blunt the effects of bullying, schools have a role to play in helping students express themselves–and by empowering classmates and others to recognize and report signs of self-harm before it’s too late. At Klein ISD in Texas, the Keep Klein Safe initiative is part community awareness campaign, part online portal for parents, students, and staff to ask questions or report potential threats. A special Critical Alerts feature lets the team flag messages that include potentially troubling keywords, like suicide, and prioritize them for the fastest possible response. At Temecula Valley USD in California, administrators say a similar tool potentially helped save the lives of at least two teens who were posting about suicide on Facebook. In both instances, after peers saw the posts, they used the technology to alert administrators. 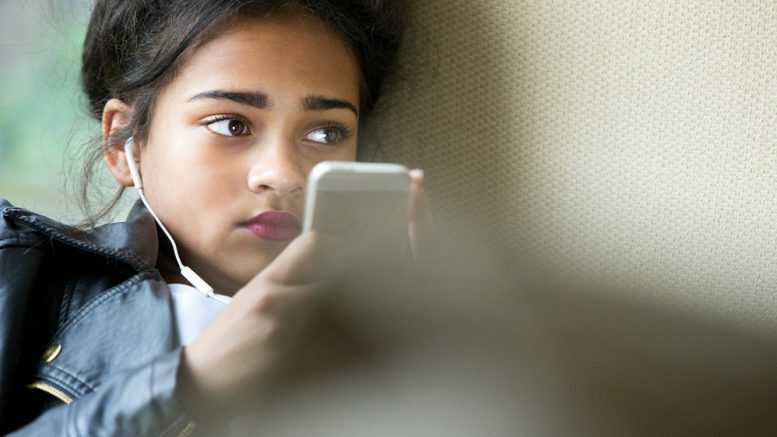 As researchers continue to explore the depth of digital self-harm in K-12 schools, educators and counselors need to listen to students and watch for signs of abuse. Is your school or district dealing with instances of digital self-harm? What is your team doing to engage students and parents about these issues? Tell us in the comments. Be the first to comment on "Digital self-harm: Why are more students cyberbullying themselves?"